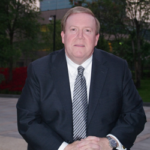 Mark is Director of the Washington DC’s Mayor’s Legal Counsel and former partner at Brown Rudnick, LLP. Mark has also served as a special prosecutor appointed by the government to conduct investigations into public policy issues. 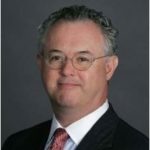 He is also Chair of the Cooperation Ireland US Board of Directors and a Member of the Board of Directors of the American Ireland Fund. David was born in Dublin and studied medicine at Trinity College Dublin. Since 1996 David has worked at Westchester Medical Center where he is the Section Chief of Medical Genetics and Director of the Inherited Metabolic Disease Center. 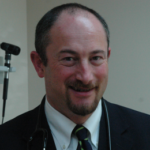 He is also an Associate Professor of Pediatrics at New York Medical College. 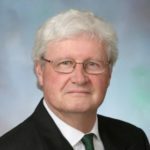 Born in Ireland, Wall Street international legal practice (1971 – 1981), in house international corporate counsel (1981 – 1999), international legal consultant (1999-2013), active as literary executor for Ernie O’Malley and history projects, based in Stonington, Connecticut, has been active in Irish arts-related non-profits for many years. 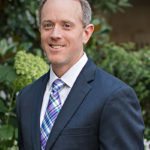 Kevin is a partner with the Philadelphia-based law firm, Conrad O’Brien, P.C., where he serves on the Executive Committee. He practices domestic and international commercial litigation and internal investigations. Kevin, who is also licensed as a solicitor in Ireland, is currently the Chairman of the Irish American Business Chamber and Network, which promotes the development of economic relationships between the United States, Ireland and Northern Ireland. Kevin also serves on the International Committee of the National Association of Federal Equity Receivers. Michael is a managing director and chief fiduciary executive for two divisions of the Office of Chief Fiduciary for U.S. Trust. Prior to joining U.S. Trust, Michael was the western region managing director, chief fiduciary officer, and board member of a major international trust company. He currently serves on the Paintings Conservation Council at the J. Paul Getty Museum, and has served on the board of directors of Common Ground and Project New Hope, charities which he founded in Santa Monica, California. Tom splits his time between Long Island, New York and Valencia Island, Co. Kerry when not elsewhere on his extensive regular travels. Additionally he resides part time in Washington DC where he serves as Chief Commercial Officer for Koolspan, a Bethesda, Maryland mobile security company. Tom has over twenty-five years’ experience in the telecommunications industry having held senior leadership positions with mobile networks in Europe and the United States. Jim is a former partner in Washington law firm Arnold & Porter. 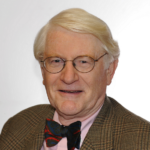 He has served as a Visiting Member of the Law Faculty at Trinity College Dublin and currently is teaching at the Georgetown Law School in Washington. 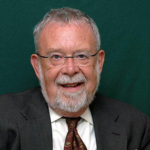 Jim has served on the Board of the Phillips Collection in Washington and SITE Santa Fe in New Mexico. For a number of years, he was Chair of the Washington Project for the Arts.